Uttarakhand, June 19th, 2018: Canon India, one of the leading organizations in the imaging space, further expanded its retail outreach today with the inauguration of its 253rd Canon Image Square in the country. 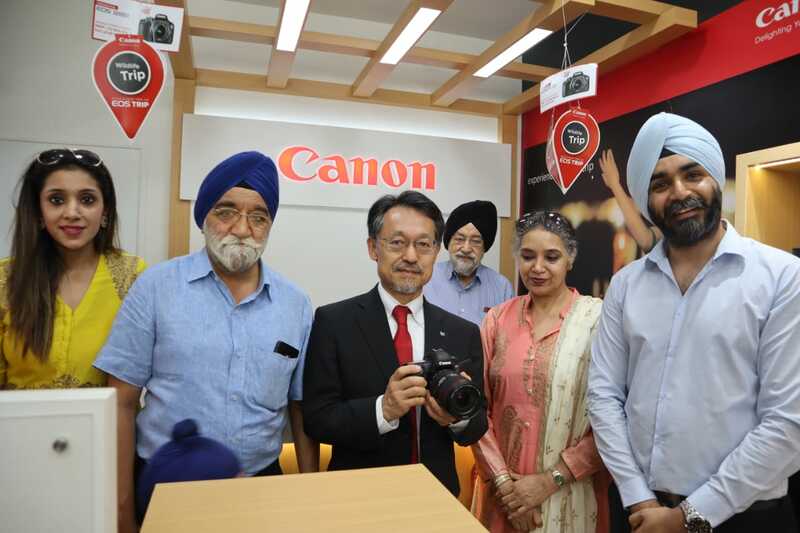 Located at Shri Balaji complex, Shop No-3, Opposite OBC Bank, Ranipur More, Haridwar, the Canon Image Square was launched in the presence of Mr. Eddie Udagawa, Vice President, Consumer Imaging & Information Centre, Canon India. CIS store provides complete range of cameras, right from professional to entry level DSLR’s and attractive Mirrorless cameras and compact cameras in PowerShot and IXUS range. It also provides photography accessories such as tripods, camera bags, memory card, chargers and more. Among other highlights, CIS stores provide photo printing solutions and easy finance facilities such as EMI through various credit cards and paper finance through Bajaj Finance. The staffs at the store are professionally trained and are efficient in assisting customers in selecting products in accordance to their specifications and requirement. CIS stores provide regular training workshops for DSLR camera buyers. Various innovative sales and marketing tools like live demo of the products, touch and feel experience, trainings and workshops has helped Canon’s customers to make informed purchases and strengthen our relationship across India.